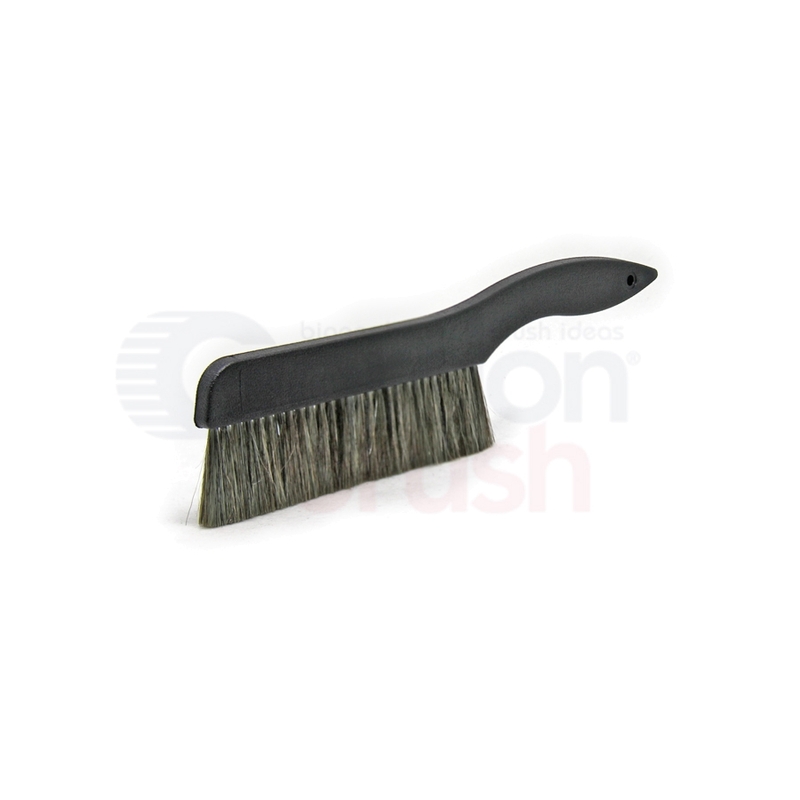 This brush is made with 100% Thunderon®, a conductive filament. Thunderon® is a very fine (0.0015 diameter) acrylic fiber chemically bonded with copper sulfide. The special fiber will dissipate a charge on any electrically charged surface. The surface resistivity of Thunderon® is 102 Ω/cm. The plastic handle is dissipative with a surface resistivity of 105 Ω/cm. Note: Conductive fibers are NOT recommended for use with unencapsulated electronic microcircuits. Minute pieces of conductive material have been known to cause short circuits.